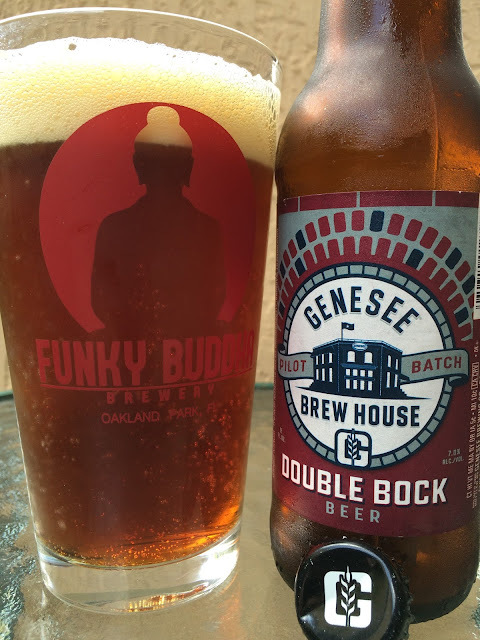 I was recently asked by the Genesee Brewery if I'd like to try their Bock Beer with a newly-found cult-like following along with a new Double Bock created from recipes found in prohibition-era log books. I'm pretty sure you know what I said! 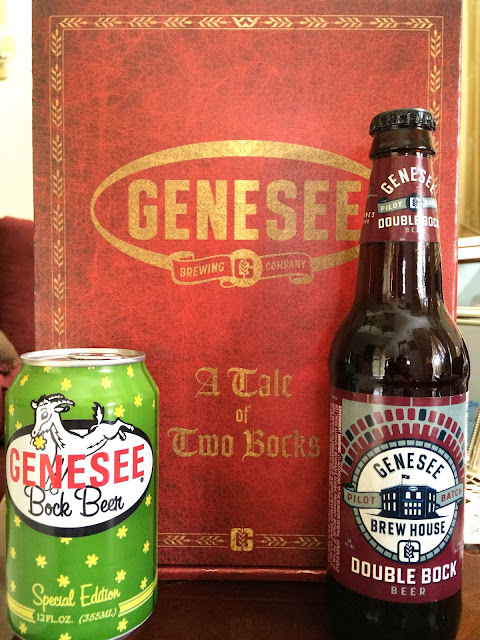 The brewery sent me a package with each beer packaged in a Dickens-ish box titled A Tale of Two Bocks! I did my best to photograph it with some of my own classics! Genesee Bock Beer has been released each spring since 1951. The brewery says that people cross state lines to stock up for an annual supply of the beer. The press release says those state lines would be PA, NY and OH in case you're wondering which direction to drive. Anyway, going to college in Ithaca at Cornell (ever heard of it? 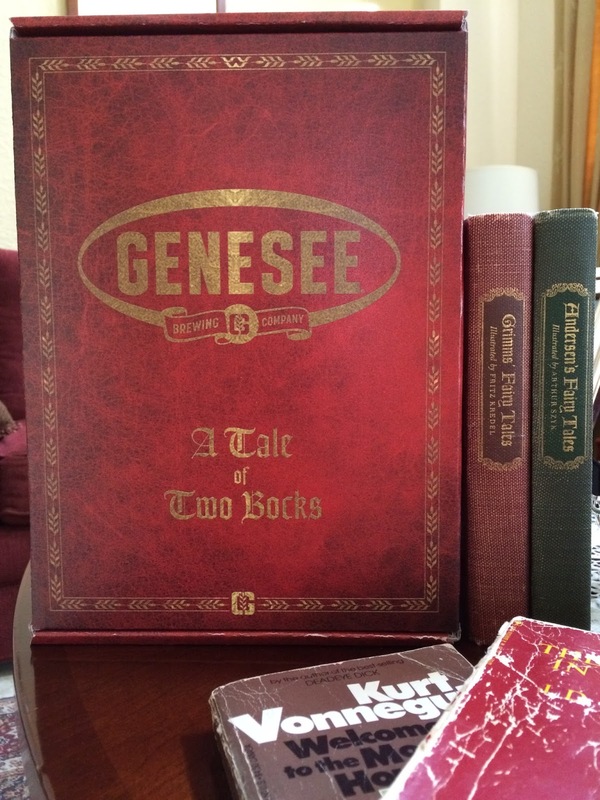 ), I had my share of the regular Genny. So I figured to give this Bock Beer a go. Nice can design, playful green with a stars design and a happy little goat! 5.2% alcohol. Malty, lightly nutty, herbal aroma. Same flavors, malty start with some toast. Herbal sweetness next. Carbonation fine, nice crispness. Simple. No flavors really stand out and there's no real wow of any kind, but the beer is fine. Genesee Brew House Double Bock is the work of Brewmaster Dan Jones and the researchers that "found" old logs of beer recipes from the 1930s. 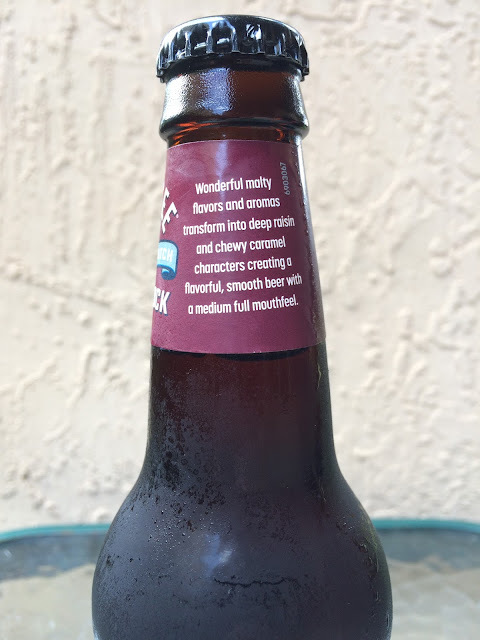 A story on the neck lets you know what the brewers expect you to find from this newly crafted beer. 7.0% alcohol. 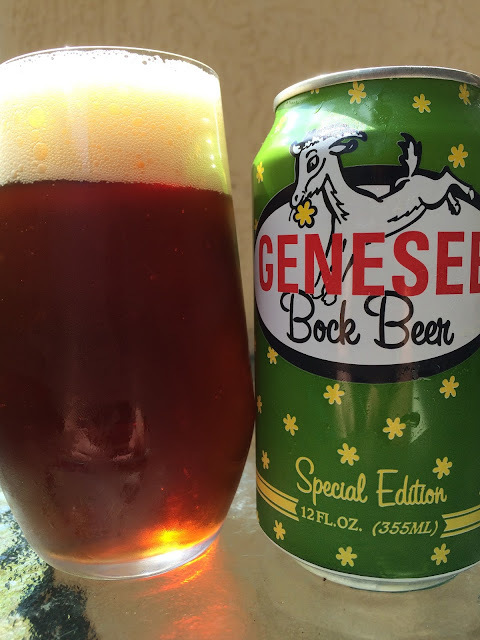 Honestly, the regular Bock is good enough, and I saw online that the cost-effective price bumps that review up a little. If price doesn't matter, I pass on both, leaving my portion for my border jumping neighbors!